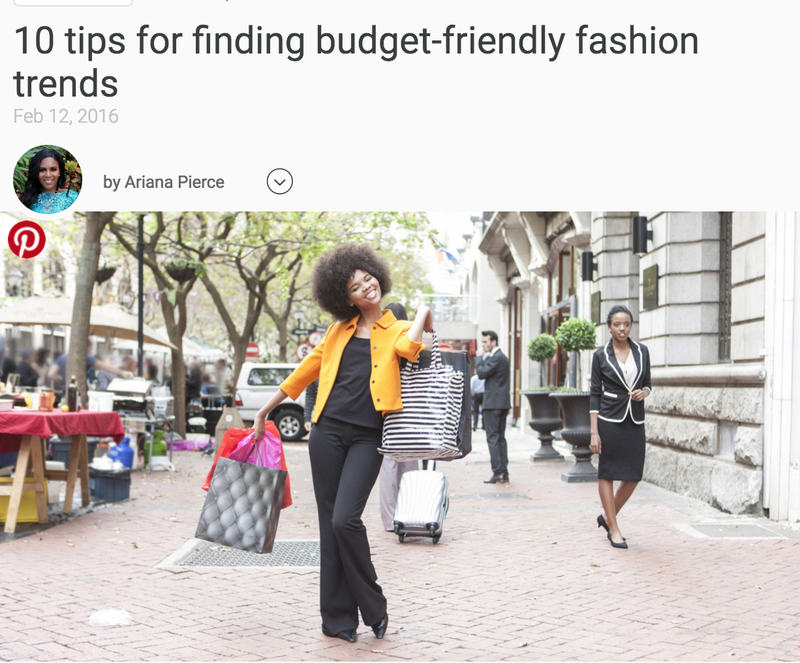 Congratulations to our Client Ariana Pierce for her feature on SheKnows! Ariana motivates thousands of business owners, professionals and lifestyle changers to aspire to, build up and really live. The beauty guru currently runs Superstar Nail Lacquer and Style Shoppe, an online accessories company. Both product lines have adorned A-list celebrities at award shows and in motion pictures. Ariana is also creating a serious buzz with her new travel accessories and travel journal. The ever-busy young entrepreneur spent a summer in Paris, France honing her marketing expertise. While abroad, she was inspired to start Ariana’s Style Book, a fashion and beauty blog that attracts over 100,000 visitors and subscribers weekly. As a Vogue Influencer, Pierce is an accomplished brand ambassador working with several national brands. She’s also a published author, sough-after motivational speaker, designer and business coach. Find out more at arianapierce.com!